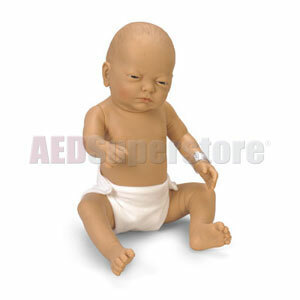 This newborn baby manikin has eyes that are slightly open, a visible umbilical cord, and a "soft spot" on its head. Washable and posable, with jointed arms and legs, and a vinyl body. Diaper included. 21" long.